The Clarins Body Exfoliator that goes the mile! After an extremely long weekend of driving to Wales and back on Saturday for a gymnastics trip I was defiantly in need of some relaxing me time. The journey took just over 3 hours and 5 hours rehearsal so it is defiantly important to stay hydrated and eat plenty of food as driving defiantly takes it out of you. So enough babbling about my weekend and onto the product. I do love a good body exfoliator as it makes my skin so soft and refreshed, I feel like a new woman after. I have previously reviewed my Frank Body Scrub which I have not used too many times after as it does tend of get a little messy and I don’t always have the time for it. 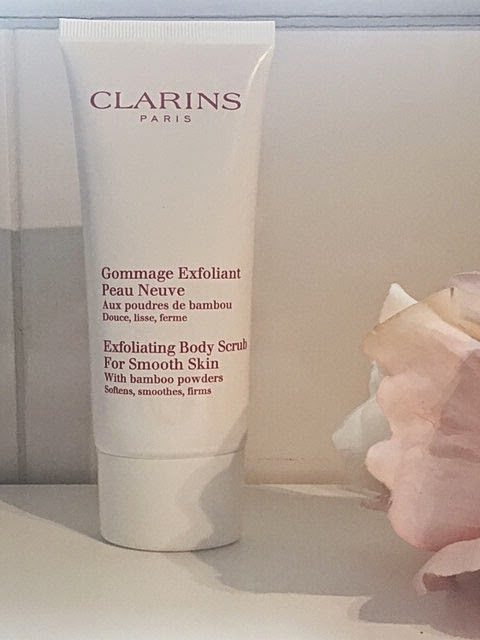 I have recently purchased the Clarins Body Exfoliator which comes in a smaller package that other exfoliators I have bought which took me back slightly as I was not sure how many times I could use it before it runs out. I mean I have facial exfoliators which come in the same size as this but as they say never judge a book by its cover so I wouldn’t knock it until I tried it. I squeezed some of the product onto my hand and on opening it has a nice refreshing smell, the product itself has a light pink colour to it and the texture is not thick at all and is very light. The exfoliating beads are very small as they are made from bamboo Powder which is now becoming more commonly used in exfoliators due to its many benefits. The bamboo powders have many benefits such as anti-acne, anti-wrinkles, Anti-cellulite properties which I think is great to have in one product and It was also very easy to wash off as it is quite creamy which is also a benefit. 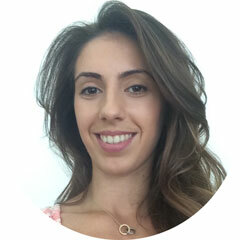 I was surprised when a little goes a long way with this product I did not need to use a lot at all, which I was relieved with as I know it will last me a good amount of time before having to purchase it again. So all in all for the price and size of the Clarins Body Exfoliator I was very happy, I would say it is priced about right and left my skin feeling soft for around 3 days after use. The exfoliating beads are small so you would need to use it around twice a week which would mean it may run out faster than you want it too. The packaging is a great travel size if you are going away for the week or weekend you can just pack in your luggage and still have a great exfoliator with you as some packages are quite chunky so cant carry them around. Have you tried this Clarins Body scrub, If so I would love to hear your experiences.